Need a handyman in Brighton? Whether you’re looking to have a home security system installed to deter would-be intruders or you’ve been a victim of theft and need your doors and locks replaced or repaired, we can help. We offer installation and maintenance of a wide variety of home security systems. 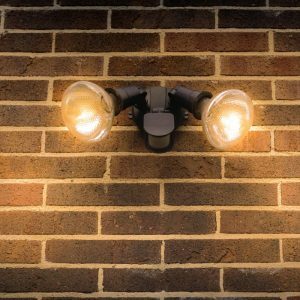 Security lighting is a straightforward, powerful method to discourage burglars as would be intruders love the cover of darkness. Motion detectors switch on lights, spot lighting anyone who should not be there. A fox or even a badger, for example, won’t activate the light as the sensitivity of these sensors can be modified. Security alarm systems are made of electronic components that might develop faults for many different reasons. In some cases, say at night time, an alarm system may suddenly begin to activate very loudly and refuse to be silenced. It is frequently because the program has not been kept up to date. Such prevalence will no doubt cost an unanticipated expense to the alarm owner to cover an out of hours engineer call out charge to quiet the alarm. We recommend a regular service to keep the system up to date and prevent any problems from occurring. There are lots of things that can go wrong with a door lock: the lock can seize up, the key can break off inside the lock, the handle can become loose, the framework / door jamb can become damaged or the strike plate becomes unaligned with the latch. Our Brighton handyman are able to solve all these problems and much more. We supply a variety of security cameras suitable for homes, stores, offices, warehouses and small businesses, completely installed at a competitive cost. CCTV surveillance can provide a visible and powerful deterrent against all kinds of offenses including burglary. Security camera systems are now available at costs that satisfy changing needs and budgets. Handyman Ontap offers Home Security Systems services in Brighton, which is located in South East England, and a large town in the county of East Sussex. A range of East Sussex businesses including Handyman Ontap make their home in Brighton. Handyman Ontap’s Home Security Systems service area in the City of Brighton and Hove also encompasses Hollingbury, Hollingdean, Hove, Mile Oak and Moulsecoomb. In conclusion, Handyman Ontap’s Home Security Systems services also cover the Brighton Municipality which includes Stanmer, Brighton Marina and Bear Road area. Connecting Brighton to other major populations are the A23 road and A27 road.